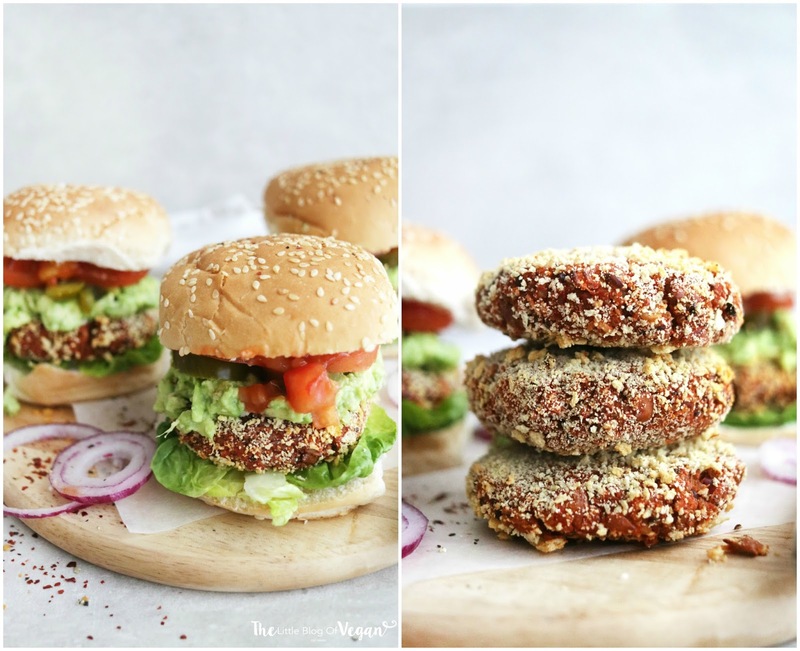 Learn how to make delicious Mexican inspired burgers which are packed full of flavour, nutrients and protein. The Veg Mex from Handmade Burger Co is my favourite burger ever. I hardly ever eat burgers but I can never resist a Veg Mex! 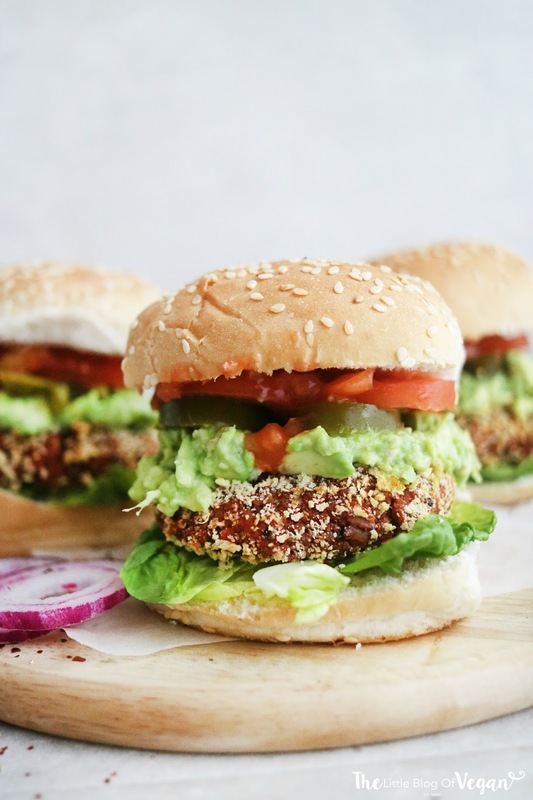 It's a vegan Mexican burger served with lettuce, tomatoes, salsa and guacamole! I took it upon myself to recreate this delicious burger!!! They're super quick & easy to make and taste restaurant worthy! 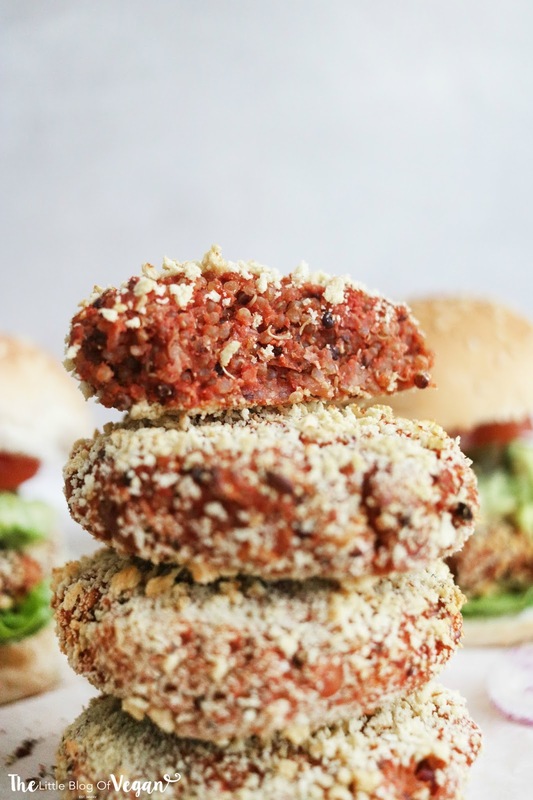 These burgers are perfect for a healthy, filling lunch or dinner and would be ideal at a BBQ or event. I'm sure everyone will love them & want more! Step 1- Pre-heat your oven to 180degrees c and line a baking tray with greaseproof paper. 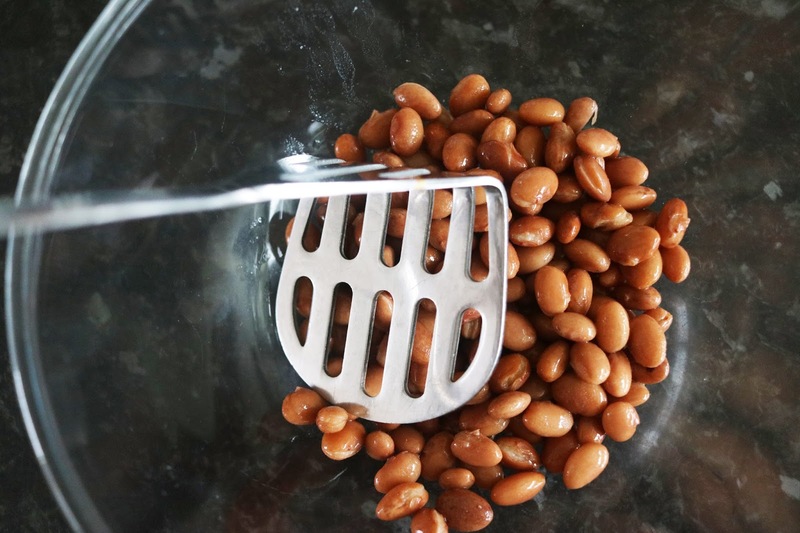 Step 2- Place the pinto beans into a bowl and mash. 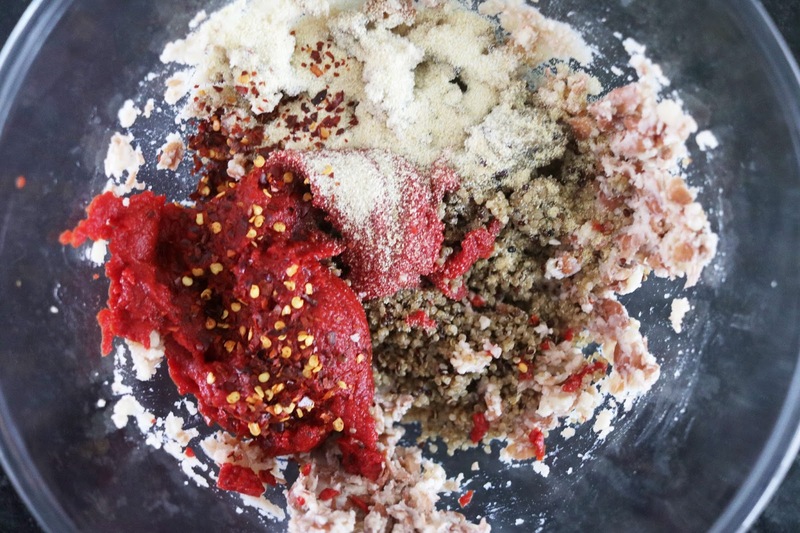 Step 3- Add in the cooked quinoa, tomato paste, onion granules, garlic granules, chilli flakes, salt and mix until fully combined. 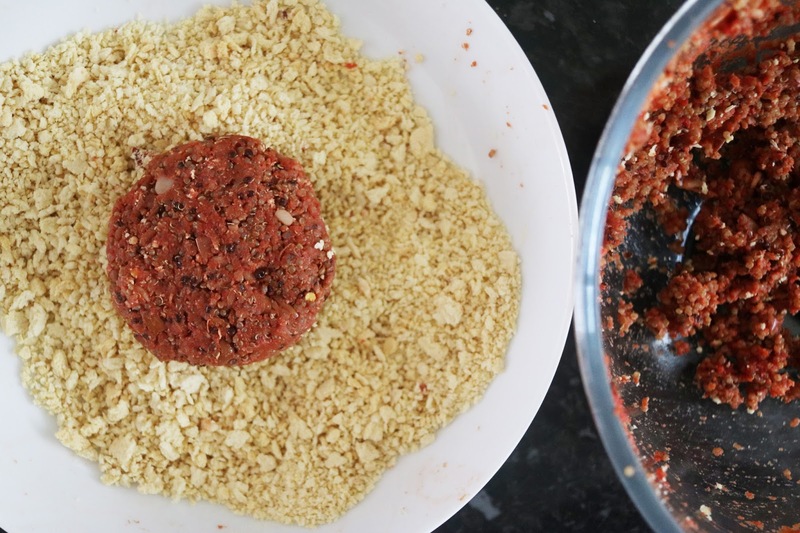 Step 4- Form into patties and roll into the breadcrumbs to cover each pattie, then place them onto the lined tray. Step 5- Pop the burgers into the oven for 18-20 minutes. Turn them over half way to get an even golden colour. Step 6- Once cooked and crispy, put the burgers together. 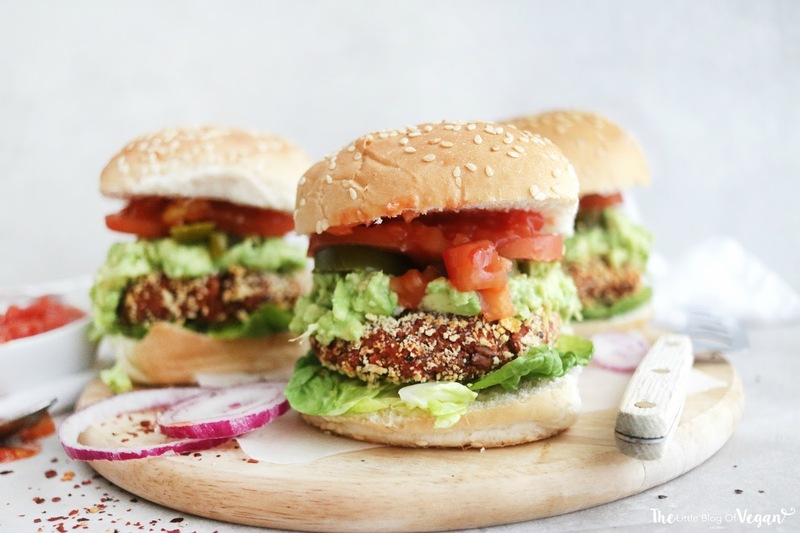 Step 7- Place lettuce leaves on the bun, add on the burger, then guacamole, jalapenos, tomato slices, onion, salsa and finish with the bun.